This is how many Africans are feeling, especially those in South Sudan, Somalia, Northeast Nigeria, and nearby Yemen. In these nations over 20 million people are facing famine and starvation. Armed conflict and severe drought are the main engines driving this emergency – the world’s largest humanitarian crisis since the end of World War II (see: http://arcg.is/2tjzoRe). O’Brien said the largest humanitarian emergency was in Yemen – the Arab world’s poorest nation – where two-thirds of the population – 18.8 million people – desperately need aid, and over seven million people are hungry and don’t know where their next meal will come from (see: http://bit.ly/2ks1Mvt). Compounding the famine, Yemen is now facing the world’s worst cholera outbreak according to the U.N. which has placed blame on all sides of the nation’s ongoing conflict between the U.S.-backed Saudi Arabia–led coalition and the Houthis (see: http://cbsn.ws/2ui2bph). crisis in Yola. His report states that the U.N. World Food Program’s response to the food crisis in Nigeria is critically underfunded, meaning that hundreds of thousands of food insecure Northeast Nigerians are not being helped. Please email and call your two U.S. senators and congressperson highlighting this emergency, and urging that instead of slashing funding to programs that feed desperately hungry fellow human beings and programs that assist the poorest of the poor to build self-sustaining lives, the 2018 fiscal year budget needs to robustly increase funding for these life-saving programs (see: http://bit.ly/2uLv0qI). Catholic Relief Services is on the ground in Bishop Mamza’s diocese and throughout Northeast Africa working to ease the suffering. 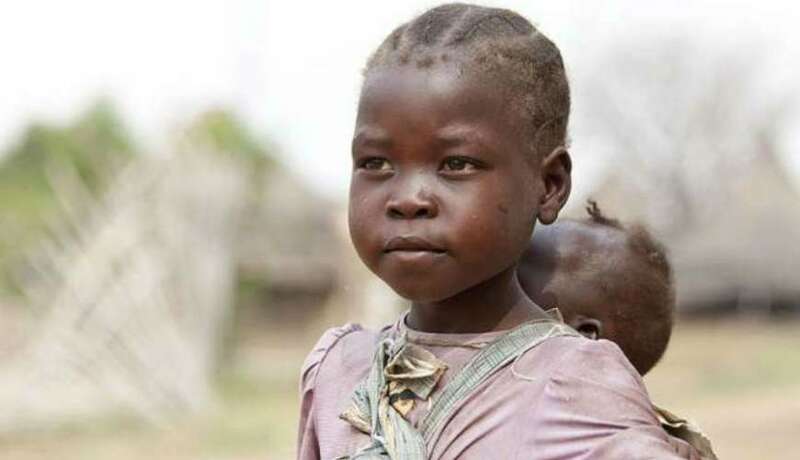 Please help them expand their life-saving efforts by making a generous donation to CRS’ “Africa Hunger Crisis Emergency Fund” (see: http://bit.ly/2wMIxQf). Previous PostWhen is it superstitious or wrong to carry a Rosary?